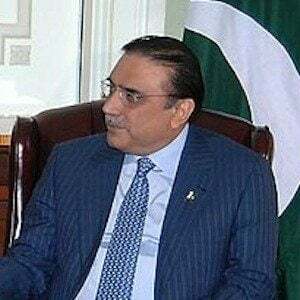 President of Pakistan from 2008 to 2013 who was the first ever democratically elected president of Pakistan to successfully complete a five year term. 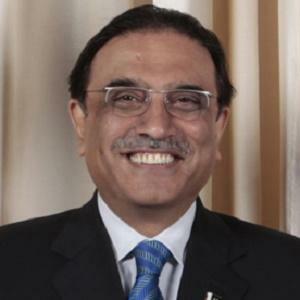 He was also the First Gentleman of Pakistan when his wife, Benazir Bhutto, became Prime Minister in 1993. He graduated from Cadet College, Petaro in 1972. 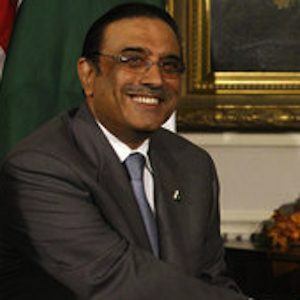 As president, Zardari he was a consistently strong U.S. ally in the war in Afghanistan and in 2008 he obtained a three-year multi-billion dollar loan package from the International Monetary Fund to aid his country. His father owned Bambino, a famous cinema in Karachi and he had three children with his wife Benazir Bhutto. 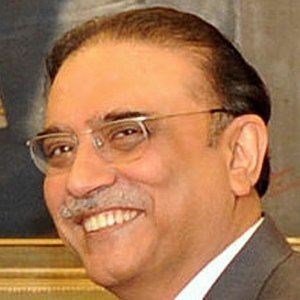 His wife, Benazir Bhutto, was the Prime Minister of Pakistan twice and was assassinated in 2007.